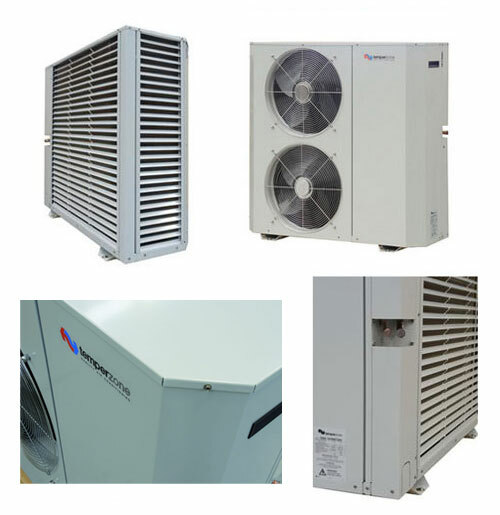 Temperzone’s new range of ducted air conditioners have been designed to be easier to install, service and maintain as well as reduce operating costs. With completely new design Inverter, Digital and Fixed Speed units, this new range covers every application requirement from 6.6kW to 32kW. Smaller, lighter and easier to install with a ton of new control options, our new range has the potential to improve any contractor’s bottom line and is backed by Temperzone’s national sales and service network. Smaller and Lighter…..But More Powerful! With the capacity ranging from 6.6 kW to 32 Kw, these units will suit a huge range of applications. The fact that they are physically smaller and lighter than previous similar capacity units also means that they will be able to handle those hard to fit places, will be easier to move around, lift, fit and install. Temperzone’s state of the art training facility is now open for bookings. The new custom built facility in Sydney is unique to the air conditioning industry. It was designed to improve participants understanding of Temperzone and Hitachi products by giving them the opportunity to receive hands on training. At the recent Facilities Total Facilities Expo in Sydney, Temperzone not only impressed but walked out of the show with a long list of companies interested in what we have to offer. Commencing early 2015, Temperzone Split Systems larger than 28 kW that have up until now contained only a 1kg R410A refrigerant holding charge in each system, are to be progressively updated to contain a refrigerant pre-charge in each system allowing for line lengths up to 10 metres.